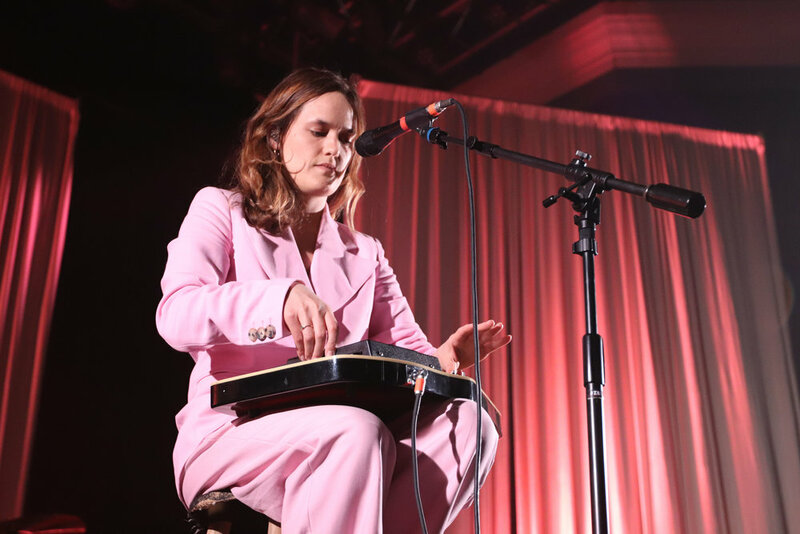 Kelly Zutrau stood center stage barefoot, getting personal and chatting with her audience in between songs about her sweaty palms caused by nerves and the nation’s capital. The lead vocalist of Wet, could not have had a more authentic stage presence. Touring behind their latest LP Still Run The New York native band, comprised of Zutrau, Joe Valle, and Marty Sulkow, attracted audiences of all ages, at their recent stop at the nearly-full 9:30 Club. The pace slowed down before they did “Don’t Wanna Be Your Girl” one of their biggest hits. Zutrauoi explained that the song was not initially meant for the public and was about an actual experience involving an abusive relationship she was going through at the time. She wrote it alone in her apartment in New York, and would not have dreamed in a million years that she would play it for anyone, let alone with a band beside her. Since it has been released, fans have reached out to her about how they, too, have experienced a toxic relationship, and it is a sentiment that means a lot to her. Time felt as though it stood still as the crowd sang along, swayed, and shined their cell phone lights like some ballet performance out of a movie. 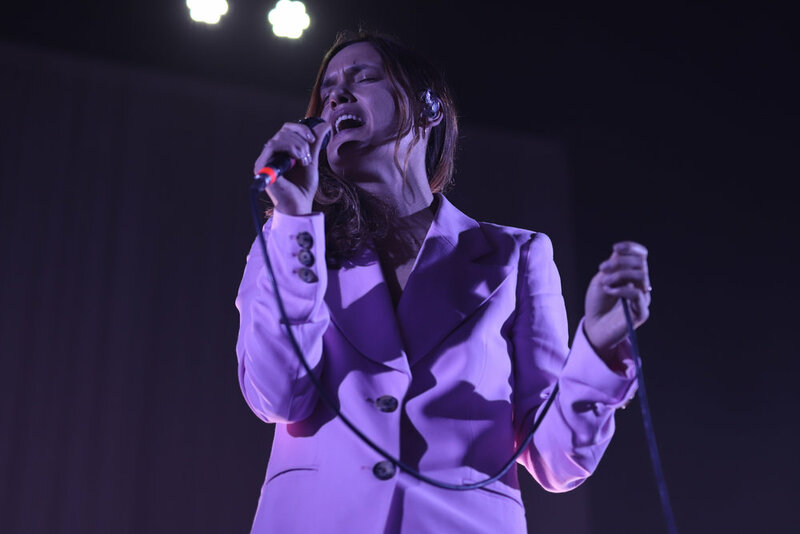 The set was a fair mix of feel-good, light-hearted pop, like “11 Hours,” and “It’s all in Vain,” and tracks with deeper meaning, like “This Woman Loves You,” and “Body,” that left the audience in awe and need of a hug. Through this balance, they made it clear that the night was about coming together and loving one another. Zutrau acknowledged how important this tour was to her, including her all-female opening acts. Hana Vu went on first, and played tracks off of her 2018 release, How Many Times Have You Driven By. Kilo Kish went on next, who performed tracks off of their records. Wet’s newest album is available for streaming and purchase online.